99% of dirty air and bad smells removed from your room! 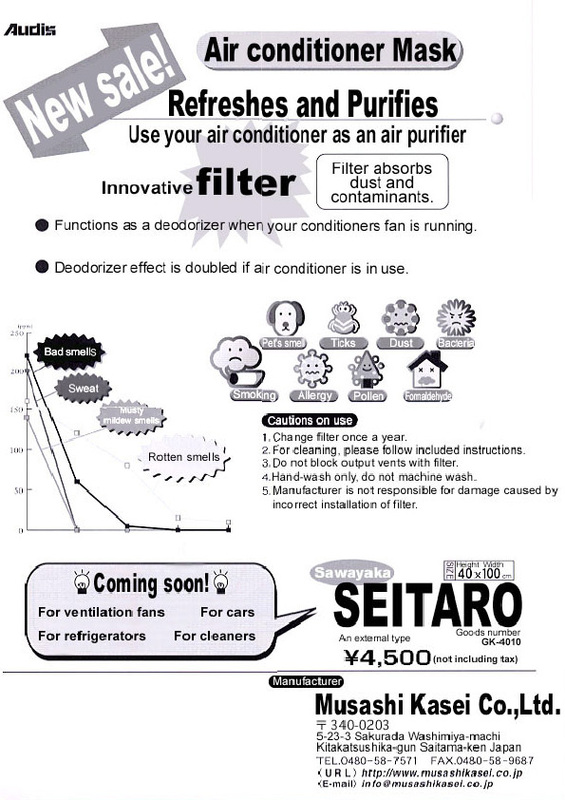 *use your airconditioner as an air purifIer. 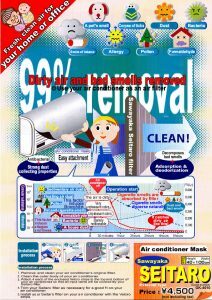 Works by simply covering airconditioner, very easy attachment! 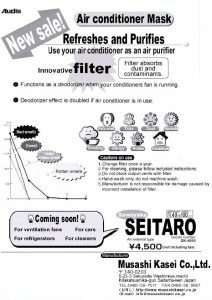 Copyright © ムサシ化成株式会社　All Rights Reserved.